Capital of Canada's Quebec province, Quebec City is located on the south-eastern side of the country, in the region known as the Capitale-Nationale. 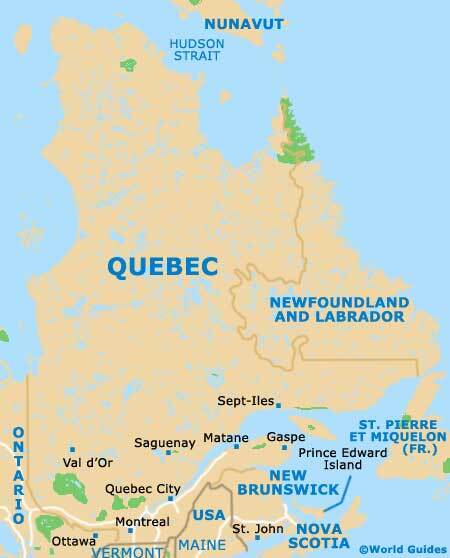 Quebec City lies within the St. Lawrence River Valley and directly to the north-east of Montreal, which is just 145 miles / 235 km away, and enjoys a scenic cliff-top location, with dramatic views across the St. Lawrence Seaway. With some 700,000 residents, Quebec City was founded more than 400 years ago and today boasts some impressive historical ramparts. These fortified walls surround the Old Town and this area now ranks as a UNESCO World Heritage Site. The Upper Town district of Quebec City is popular with tourists and stands atop the elevated Cape Diamond (Cap-Diamant). 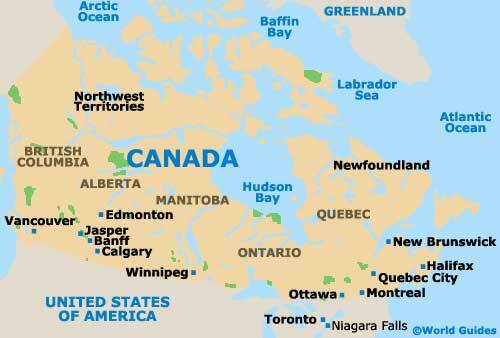 Close to this promontory are the Plains of Abraham - an expansive plateau situated in the Battlefields Park. Nearby, the Lower Town district is to be found level with the shore. 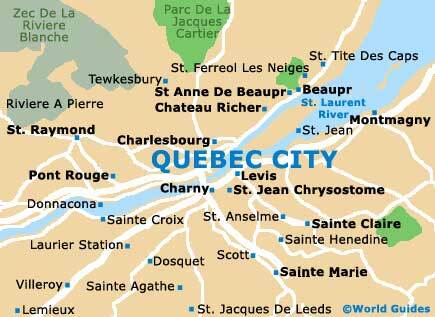 For maps of Quebec City, head to the visitor centers on the Avenue Wilfed Laurier and also on the Rue Sainte Anne, the latter of which is off the Place d'Armes.